Have you hesitated starting a blog because you have doubts about your writing? Did you hate writing term papers when you were in school? Well, here's the good news. 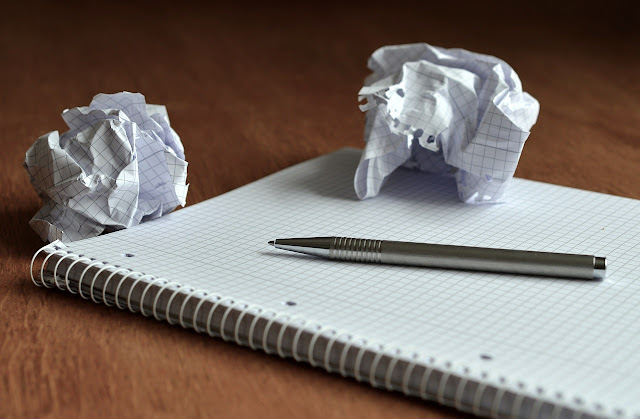 Writing a blog post is nothing like writing an essay for a class in school. You may not consider yourself a writer, but if you can write an email to a friend, then you can write blog posts. The topic you choose for your blog depends on why you want to blog. 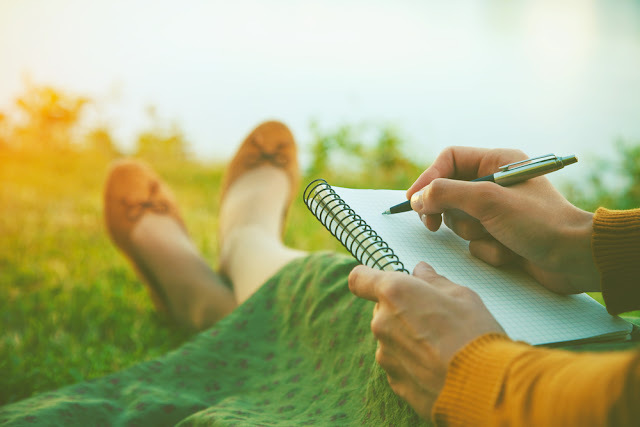 Do you want to write about your daily activities or your move to a new city or country – kind of like a diary? Or do you want to share ideas with friends and/or strangers on a particular topic that you're passionate about? Then you're in the right frame of mind for a blog. If this is your intention, it doesn't really matter what the subject is – you will eventually find readers who want to read and share ideas on that topic as well. Just keep in mind that readers won't find your blog overnight, but persistence will pay off in the end. 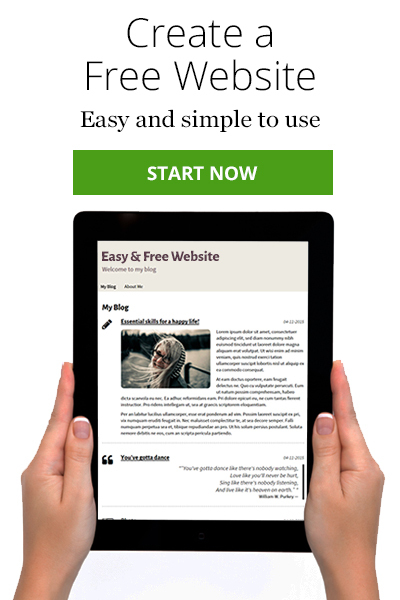 If you don't have a blog yet, click the green button to make your own SimpleSite blog for FREE. 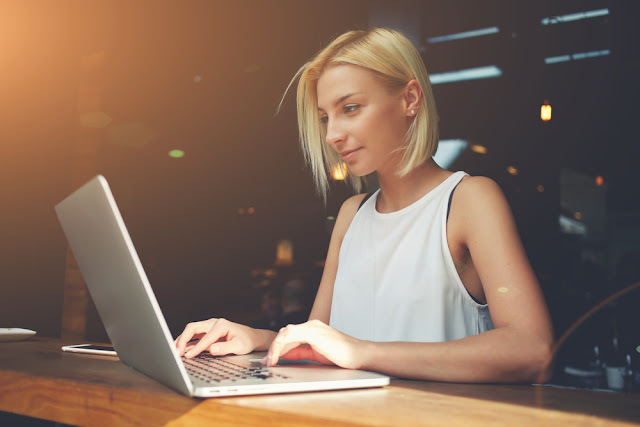 Start your post with a question that leads into a story connected to the content. Lists and facts are useful to illustrate a point, but your reader is more likely to remember a story that demonstrates an emotion she's already experienced. That connection will bring her back to read more posts later. Once you progress into the meat of the post, put the focus on the reader. She wants to know how the information affects her, whether it's about getting through a divorce or how to make the best quilt. Use second person as much as possible in your writing. In other words, use 'you' as often as you can and 'I' as seldom as possible. You can probably think of many ways to re-boot your brain, but here are some of our favorites. Get up and go for a walk. If it's raining out, at least change your environment for a half hour or more. Don't just work on something different at your computer. Work on a jigsaw puzzle or something else that requires concentration. Call a friend and talk about absolutely anything. Brainstorm a list of ideas without censoring yourself. Read other blogs on your topic to get ideas. Go on Facebook and ask people what they want to know about your subject. Remember, your blog should sound like you're writing or talking to a friend – not writing an essay for an English composition class. Online readers like to scan rather than read every word, and they don't want to feel like they're reading an academic treatise. Use sub-headings to let the reader know the topic of the section. Let your text rest for a day or two, and then read it again. You might be surprised at how well it flows. If not, you'll be likely to catch the spots where it doesn't flow well once you've been away from it for a while. Make changes and then read it out loud.. When you read your text out loud, the places where a reader might stumble will become obvious. Your blog post doesn't need to be a Pulitzer Prize winner. Don't go over it again and again and again. Make the needed changes and then hit 'publish,' and get started writing your next post. Ready to start blogging? Click the green button to get started with an easy-to-build blog for FREE. i've been thinking of blogging forever, thanks for the free website i appreciate it so much also, i appreciate any of information, tips anything that helps me out. i thought of blogging like forever, thanks for the free website also, all the info, & tips. thanks for articale post.will really help new blog poster.